The Mothership lands in Atlanta this weekend. No, it’s not a Funkadelic concert, but the first annual State of Black Science Fiction Convention (SOSBFC) at the Southwest Arts Center Saturday June 11 and Sunday June 12. For all the talk about accepting the diversity of the alien, science fiction’s early history is peopled by white super-men protagonists, and some today seem to want to keep it that way if recent controversies in fandom are any indication. But black writers, artists and filmmakers have been emerging to create some of the most dynamic and innovative speculative fiction today, pushing boundaries and re-imaging earth’s future and space as diverse, complex, uncomfortable, beautiful and inspiring. 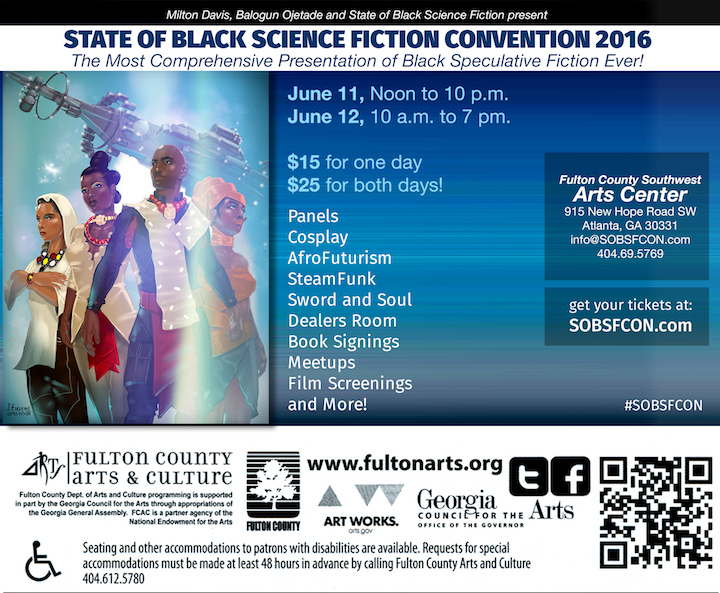 SOSBFC aims to bring together the most comprehensive celebration of black creators of science fiction, fantasy, horror and comics to date. 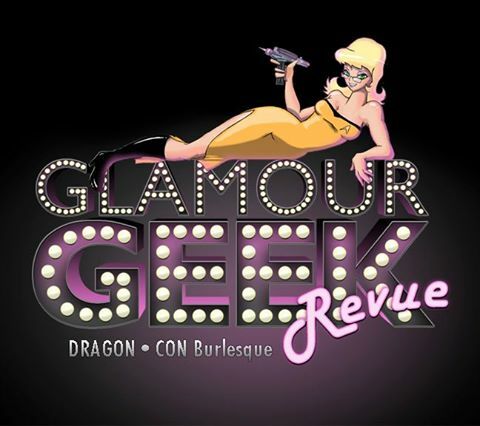 Just a glance at the programming schedule is sure to cause sensory overload with the mix of panels, speakers, workshops, presentations and kids’ activities to nurture the next generation of creators and fans–something most cons neglect. 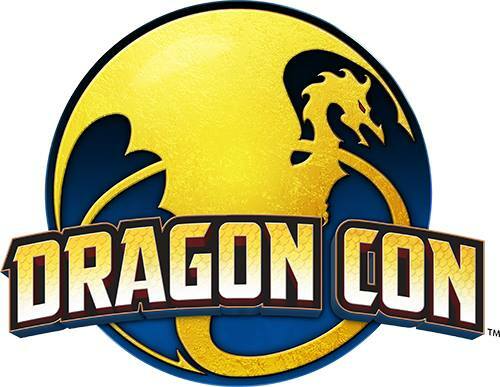 There’s also a dealers room and art show, cosplay is encouraged, and there’s even going to be onsite food that’s more than pizza or burgers, we hear – something most cons neglect! Whether you’re into Afrofuturism, steamfunk, cyberfunk, dieselfunk, sword and soul, rococoa, Afrikan martial arts, or just what the find out what the funk is happening, SOSBFC is the place. Needless to say, our choice of Kool Kat this week was easy. ATLRetro caught up with Atlanta-based writer Balogun Ojetade, co-founder with writer/editor/publisher Milton Davis, to find out more about how Atlanta’s newest spec-lit convention got launched, what’s planned and what’s next. 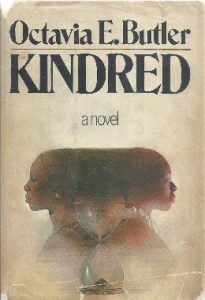 ATLRetro: To many, Samuel R. Delany and Octavia E. Butler lit the fuse on an African-American SF perspective, yet W.E.B. DuBois published an SF story back in 1908. 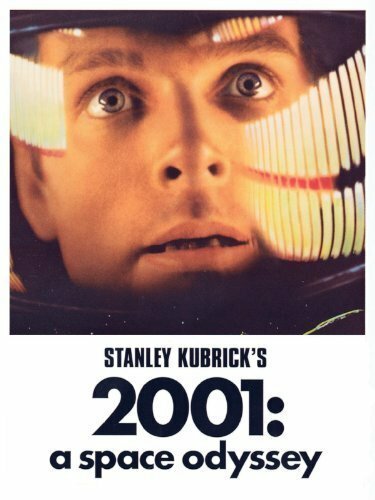 Which SF/spec-lit authors were early favorites/inspirations for you? Balogun Ojetade: My early inspirations were Charles R. Saunders, the Father of Sword and Soul and creator of the Imaro series of novels and the brilliant master storyteller and poet, Henry Dumas, whose short stories “Fon,” “Will the Circle Be Unbroken” and “Ark of Bones” were the greatest influences on my horror and fantasy writing style as a young man. 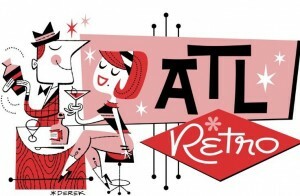 Atlanta’s been characterized as a center for Afrofuturism. Can you talk a little about the local community of black writers and publishers? Do you feel like you were part of a movement? Atlanta is where the now worldwide State of Black Science Fiction author, publisher, artist, filmmaker, game designer and cosplayers collective was founded. As one of the founders of this collective and one of its most active members, I am certainly part of a movement, which is still very much alive. I am also one of the people who founded the Steamfunk Movement, along with author and publisher Milton Davis, who also resides in Atlanta. What’s the specific origin story of SOBSFC? The origin of the State of Black Science Fiction Convention, or SOBSF Con, began about four years ago. 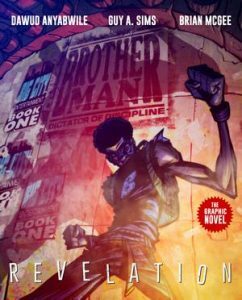 In the State of Black Science Fiction Facebook Group we had a lively discussion about the need for a convention that would not only showcase comic books by creators of African descent, but would also showcase novels, films, artwork, fashion design, cosplay, African martial arts and much more. We wanted to give con goers a full and enriching experience. It was originally decided that each region would host a convention – one would be in Atlanta, one in the DC / Maryland / Baltimore area, one in New York City, one in Chicago and so on – on the same days and times. We would call this mega event Diaspora Con. Well, certain things happened that let Milton Davis and I know that Diaspora Con was not to be, so we scrapped the idea, but the desire to give the world a convention that showcased black speculative works continued to burn. In early 2015, Milton and I decided we would host a con that would draw fans and creators of black speculative fiction, film, fashion and fabrication from around the country. We agreed on the name State of Black Science Fiction Convention and then started making plans. By mid-2015, we made our plans public and received positive feedback from hundreds of people who said they would attend such a con in Atlanta and here we are. 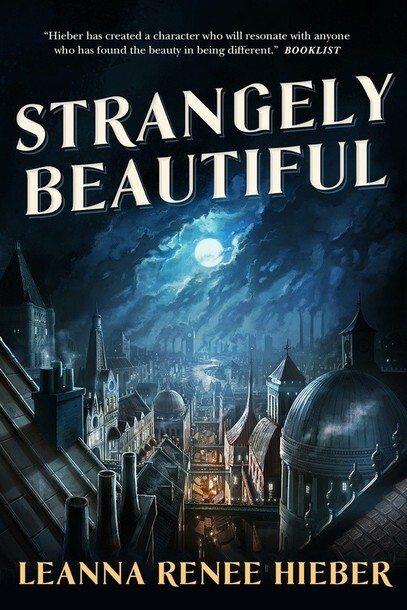 Do you think SOBSFC and a greater push for diversity in SF publishing is especially needed right now in light of the Sad and Rabid Puppies Hugo Awards controversy and Internet outrage about a black lead in the recent Star Wars movie? These controversies and the outrage is nothing new. You have always had and will always have ignorant and fearful people in all walks of life. The science fiction and fantasy community is not exempt from this. There has always been a need for a SOBSF Con and for a constant push for diversity in SFF publishing. The more we push, the more people know we are here. The more people know we are here, the more that know there are alternatives to the racist, sexist rubbish they have had to endure for so long. 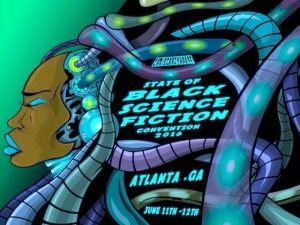 SOBSFC is billed as the “most comprehensive presentation of black speculative fiction ever.” There’s a lot going on for just $25 for both days (a bargain compared to DragonCon, most cons). I know this is a hard question but what 3-5 pieces of programming should con attendees be sure not to miss and why? Yes, it is a hard question because the programming is so Blacktastic, but I will share a few that I know people will absolutely be blown away by. The YOU are the Hero Cosplay Contest: Imagine hordes of black cosplayers of all ages and body types presenting mainstream, independent AND original characters from film, comic books, anime, manga, or of their own design. TOO cool! The Future is Stupid Art Show: Dozens of Afrofuturistic pieces of artwork by Atlanta’s favorite artists will be found all over the exterior and interior of the convention facility. The Big, Beautiful, Black Roundtable: At this “Town Meeting” we will present, discuss, listen to and put into effect strategies and collaborations to take black speculative fiction/film/fashion/fabrication to the next level! 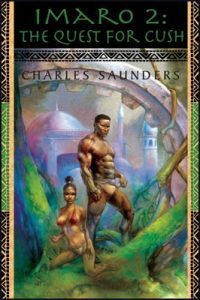 The Charles R. Saunders Tribute: We will share stories about how this great man has influenced our writing, his history and great contribution to the advancement of speculative fiction and we will read excerpts from his works, all before presenting Charles with a much deserved award. Can you talk a little about the writer guests and how they reflect the variety and scope of black spec-lit today? 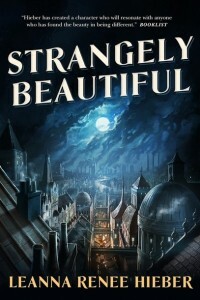 Valjeanne Jeffers: Writes horror, Steamfunk and Sword and Soul. Zig Zag Claybourne: Writes action and adventure, Rococoa and Cyberfunk. Derrick Ferguson: New pulp icon. Creator of black pulp heroes Dillon and Fortune McCall. Cerece Rennie Murphy: Writes urban fantasy for adult, young adult and middle grade readers. Brandon Massey: Master of horror and suspense. Hannibal Tabu: Comic book writer and critic. We also have authors of Cyberfunk, Dieselfunk, Dark Universe (Space Opera) Afrofuturistic fusions of hip-hop, jazz, blues, time travel, magic realism and urban fantasy and much more. Black speculative fiction is very broad and very deep. Con-goers are in for a powerful experience. This is a really exciting time for black filmmakers in SF and horror. Can you talk a little about that and how that will be reflected in SOBSFC’s programming? As a lifelong fan and creator of science fiction and fantasy with strong horror elements and straight up horror, too, I am very excited. The digital age has allowed filmmakers who would have otherwise been unable to tell their stories – stories in which the Black character doesn’t die within the first 10 minutes or die sacrificing himself or herself so the white hero can live on to save the day – to now tell stories in which Black people are the heroes, sheroes and even mastermind villains. Many great independent films and web series have been developed, screened and gained massive followings and Hollywood has been paying attention, so now you have the Black Panther stealing the show in CAPTAIN AMERICA: CIVIL WAR and even getting his own movie. You have Idris Elba playing Roland in the film adaptation of Stephen King’s THE DARK TOWER and Adewale Akinnuoye-Agbaje, Will Smith and Viola Davis starring in SUICIDE SQUAD as Killer Croc, Deadshot and Amanda Waller, respectively. And television is even more progressive, giving starring roles to black people in several Science Fiction, Fantasy and Horror-themed series and having very diverse casts on these shows. But again, this all began with black indie filmmakers. To reflect this, SOBSF Con is featuring our Black Science Fiction, Fantasy and Horror Film Festival, which showcases short and feature films by independent creators. Many of the films creators will also be on hand to share their creative process and answer questions from the audience. 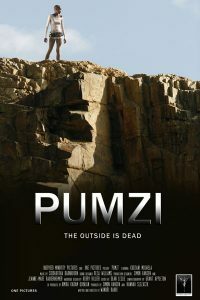 Just a few of the films screening at the film festival are: PUMZI (award-winning science fiction short from Africa), DAYBLACK (horror), BLACK PANTHER: STORMS OF CARNAGE Parts 1 & 2 (superhero / fantasy), REIGN OF DEATH (dieselfunk), DANGER WORD (horror; written and produced by master horror author Tananarive Due and science fiction icon Steven Barnes), RITE OF PASSAGE: INITIATION (steamfunk), and a special screening of the science fiction film RETURNED. What about comics at SOBSFC? 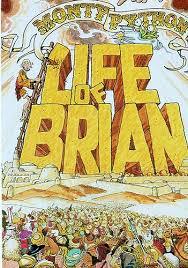 You cannot have a science fiction and fantasy convention without comic books! While comic books are not the focus at SOBSF Con – our focus is on all aspects of black speculative creation – most of the creators and fans at SOBSF Con were heavily influenced and inspired to “do” Science Fiction and Fantasy from our love of comic books, manga, animation and anime. Thus, there will be comic book vendors at SOBSF Con and some giants in the industry are distinguished guests, including Dawud Anyabwile, the co-creator and artist of the iconic blockbuster comic book series BROTHERMAN; Marvel Comics artist Afua Richardson, best known for her work in the award-winning and politically potent Image / Top Cow miniseries GENIUS; Tony Cade, comic book publisher and owner of comic book company, Terminus Media; and TUSKEGEE HEIRS creators Marcus Williams and Greg Burnham, just to name a few. The creators and publishers will share their knowledge and experience with con-goers on the Create Your Own Comic Book and Black Craft and Consciousness in Comic Books panels. Atlanta is known for its cosplay community. 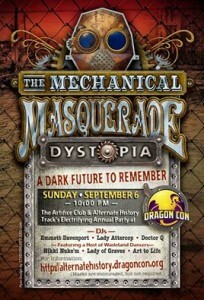 Are you encouraging costuming and will there be activities for cosplayers? 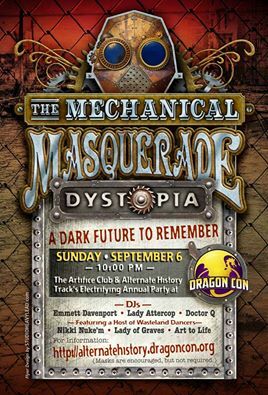 We highly encourage cosplay and invite all the cosplayers in Atlanta to come out and join us! We are very excited about our YOU are the Hero Cosplay Contest I mentioned above, and we also have the Cosplay in Non-Canon Bodies panel, facilitated by popular cosplayers, TaLynn Kel, who will be joined by popular cosplayers, JaBarr Lasley and Dru Phillips. What else would you like people to know about SOBSFC? While SOBSF Con offers all the great things you expect from a great fan convention – awesome panels, cosplayers, genre films, a dealers’ room with all kinds of cool stuff for sale – we also have offerings you probably have never seen at any con before, such as Tiny Yogis, a yoga class for children; 5P1N0K10 (SPINOKIO), an Afrofuturistic, hip-hop puppet show by a master puppeteer named Jeghetto; Traditional Arms, Armor and Martial Arts of Afrika; Afrikan Martial Arts for Youth Workshop; traditional African artifacts and soaps, oils and fabrics sold in the dealers’ room; your questions answered through traditional Afrikan casting of lots by the Amazing Identical Ojetade Twins (one is a 13-year-old boy; the other a 6-year-old girl); gourmet pot pies; and, most importantly, a place where you can be yourself without judgment, without rude comments, but with love and appreciation. This is a fun event for the entire family you do NOT want to miss! Finally, would you like to take a moment to talk about your own writing? What’s your latest work and what are you up to next? Feel free to add where we can find you at SOBSFC! I am always happy to talk about my writing. For those who don’t know me, I write fiction, nonfiction and screenplays. I also direct films and choreograph stunts and fights for films. 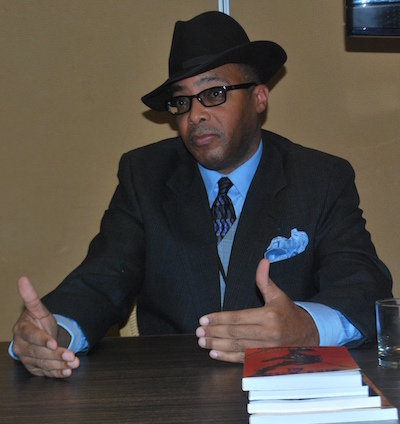 As a fiction writer, I am most known for my Steamfunk novels, MOSES: THE CHRONICLES OF HARRIET TUBMAN and THE CHRONICLES OF HARRIET TUBMAN: FREEDONIA; my Sword and Soul novel, ONCE UPON A TIME IN AFRICA; and for the STEAMFUNK anthology, which I co-edited with author Milton Davis. However, my novels cover the spectrum of black speculative fiction: Dieselfunk, Rococoa, Afrofuturism; urban fantasy; action-adventure and horror. 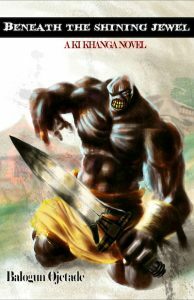 My latest work is BENEATH THE SHINING JEWEL, a horror novel set in Ki Khanga, a Sword and Soul world created by Milton Davis and me for our upcoming tabletop role-playing game, KI KHANGA. I am finishing up a Dark Universe (space opera) novel and have a horror short film I wrote slated to begin production in the fall. Finally, in August, comic book artist Chris Miller (Chris Crazyhouse) and I begin work on a graphic novel that is going to blow away fans of manga, comic books and black speculative fiction! Thanks, so much, for this opportunity and I look forward to seeing everyone at the State of Black Science Fiction Convention June 11 and 12!